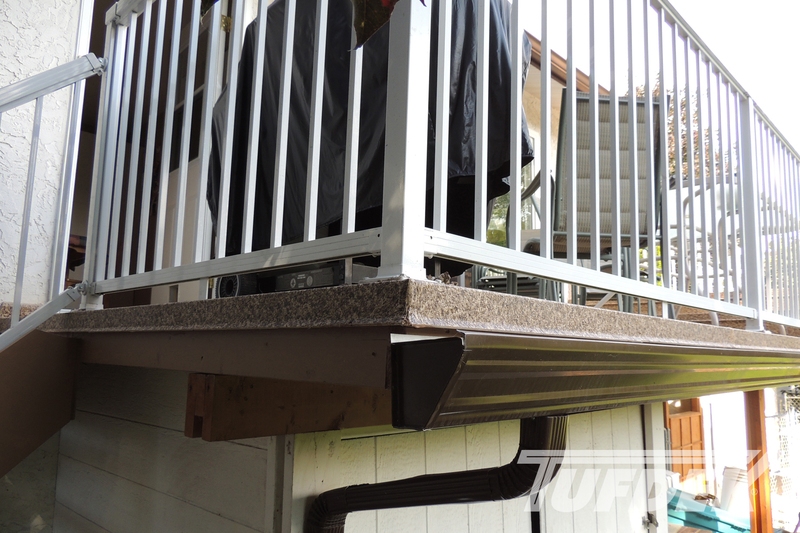 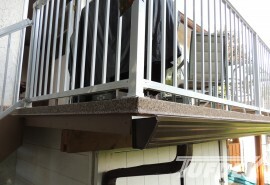 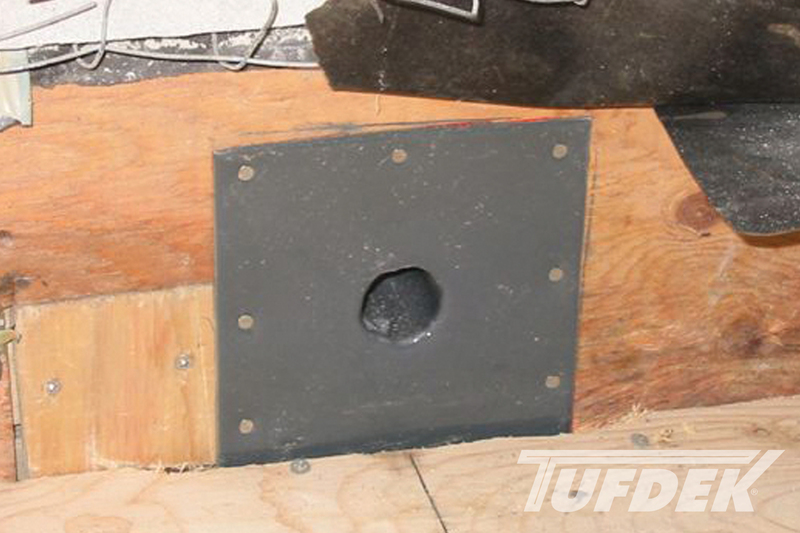 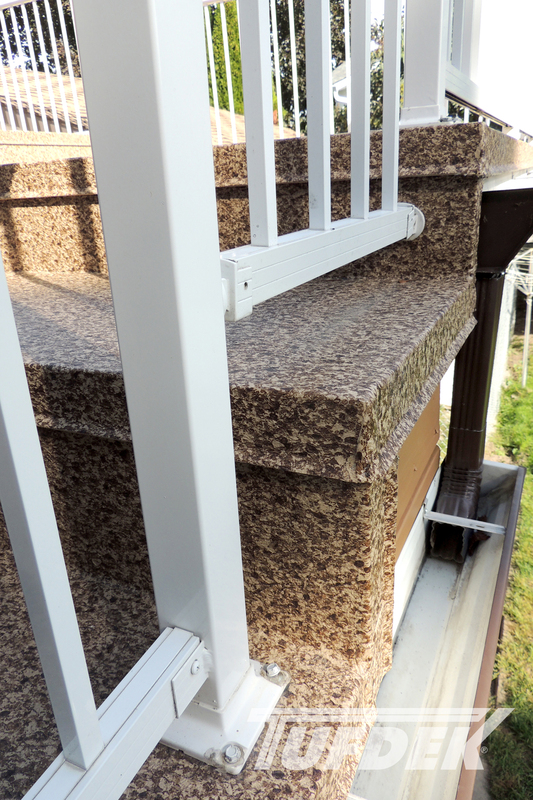 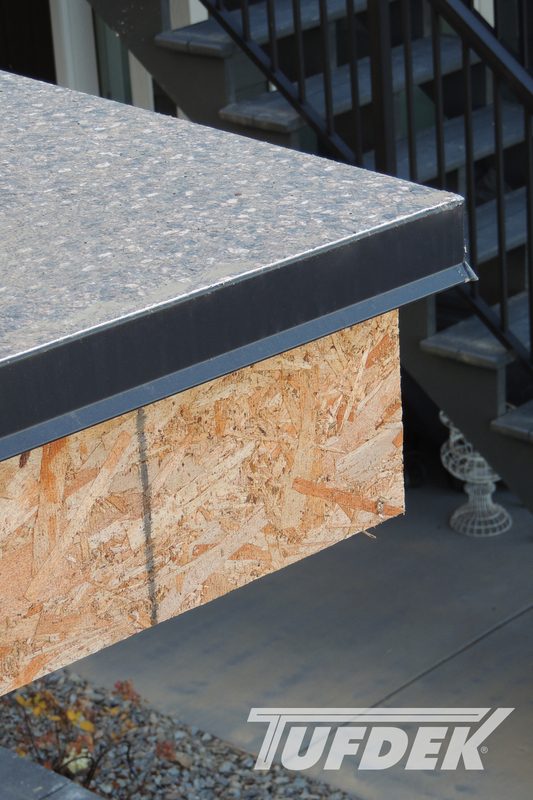 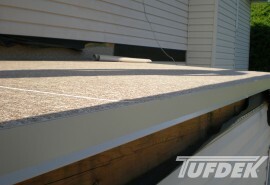 The following deck photo gallery features photos illustrating various details about waterproof vinyl deck installation including hot air welding, PVC flashings, installing Tuff Seal drains, and other vinyl deck accessories. 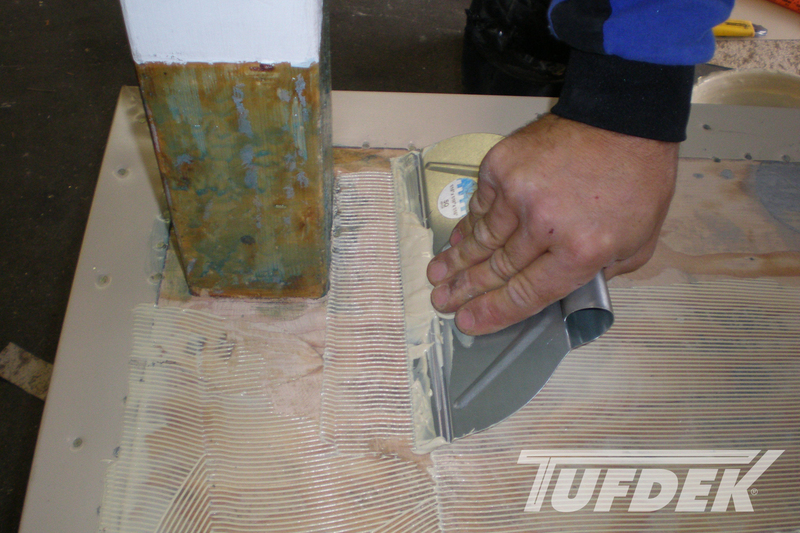 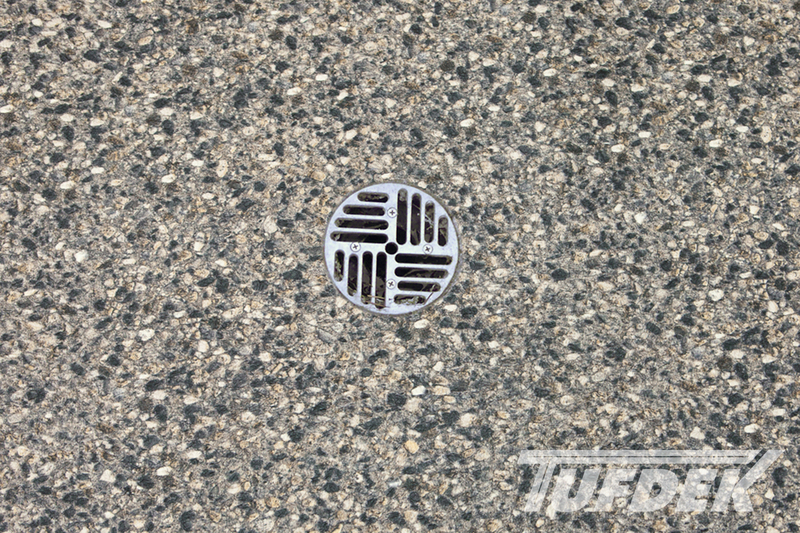 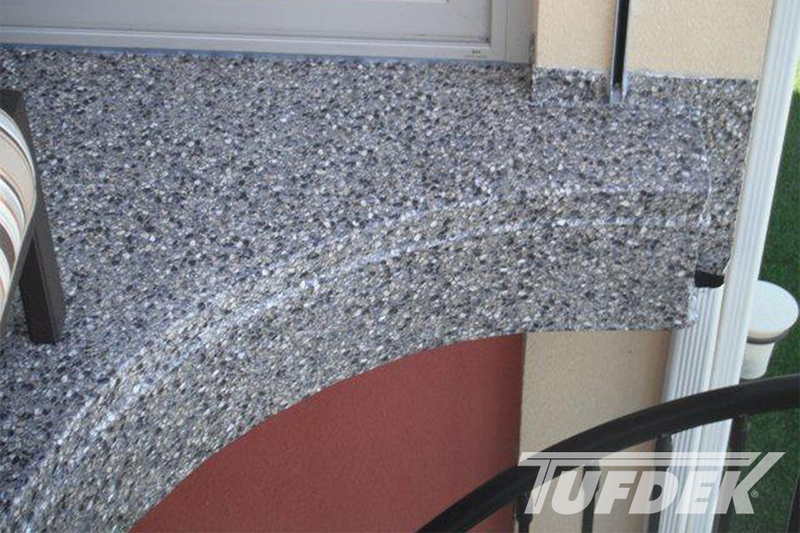 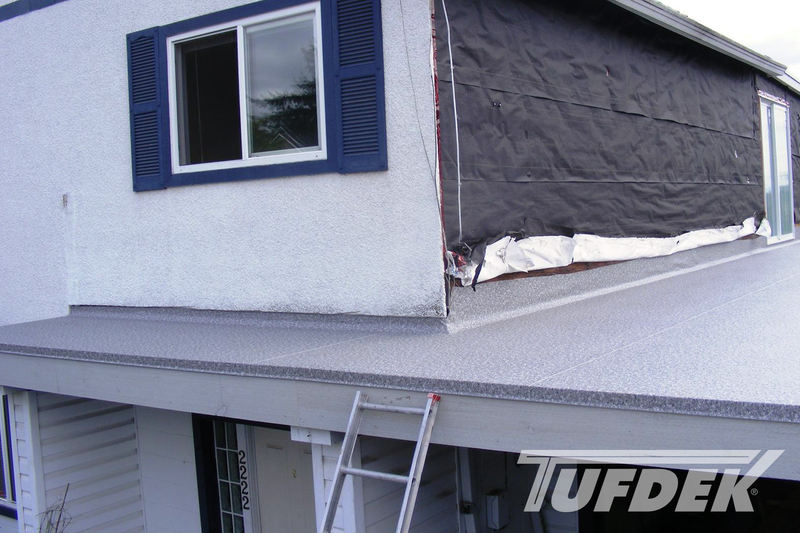 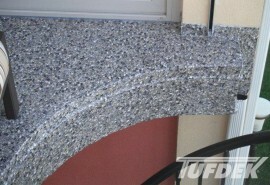 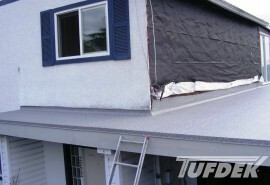 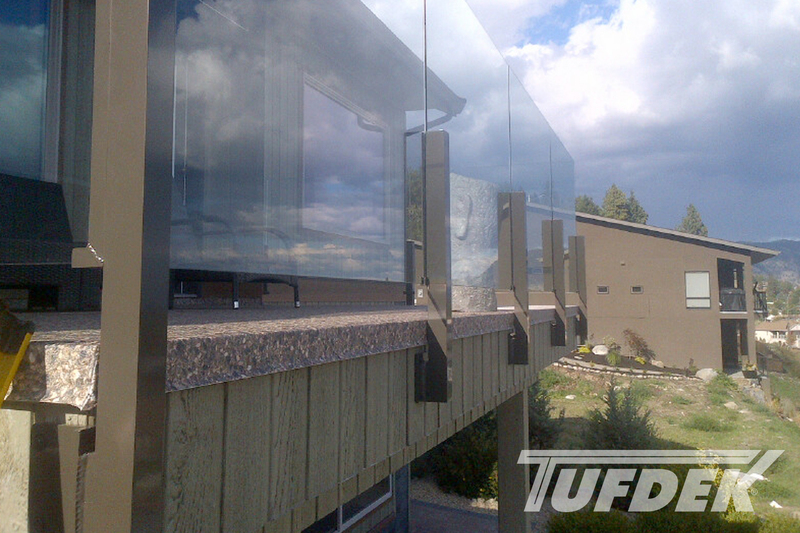 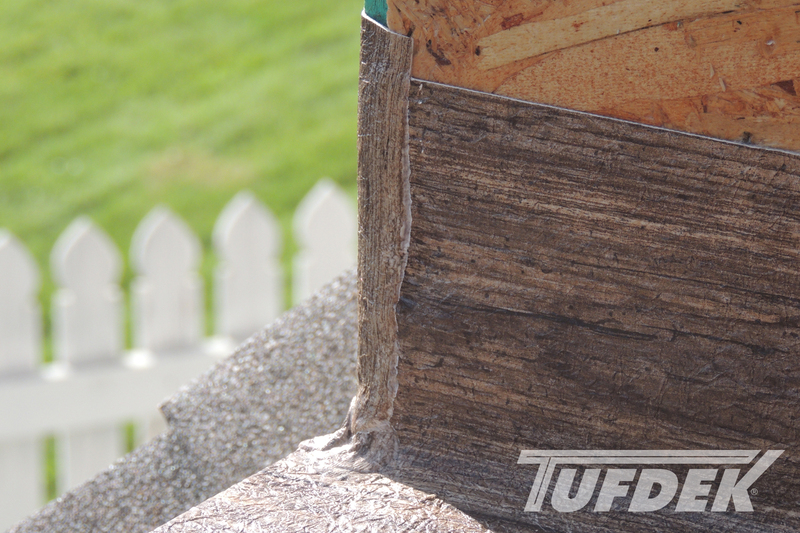 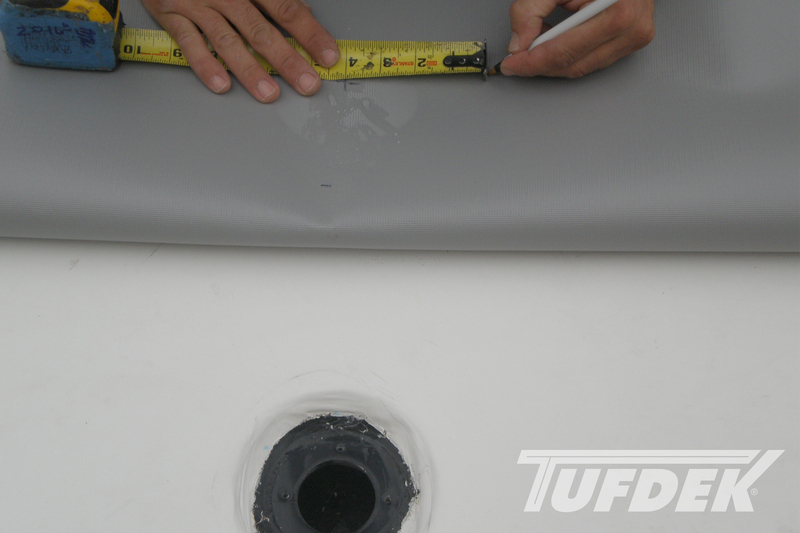 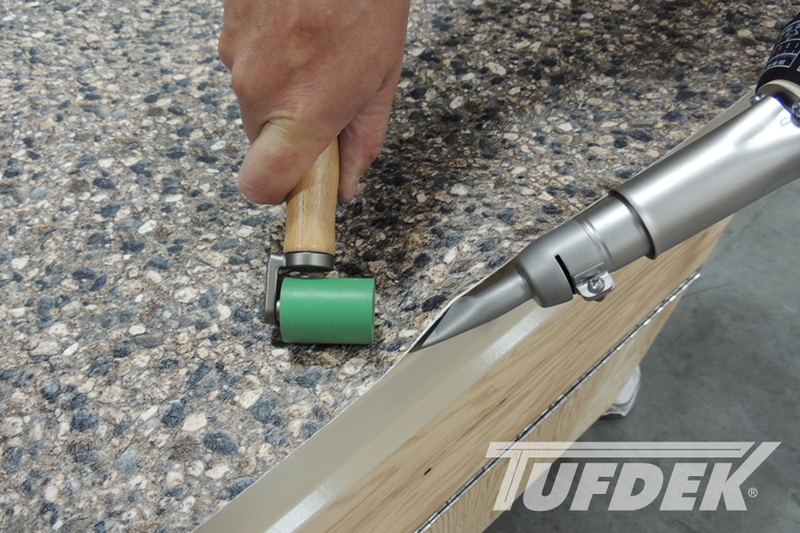 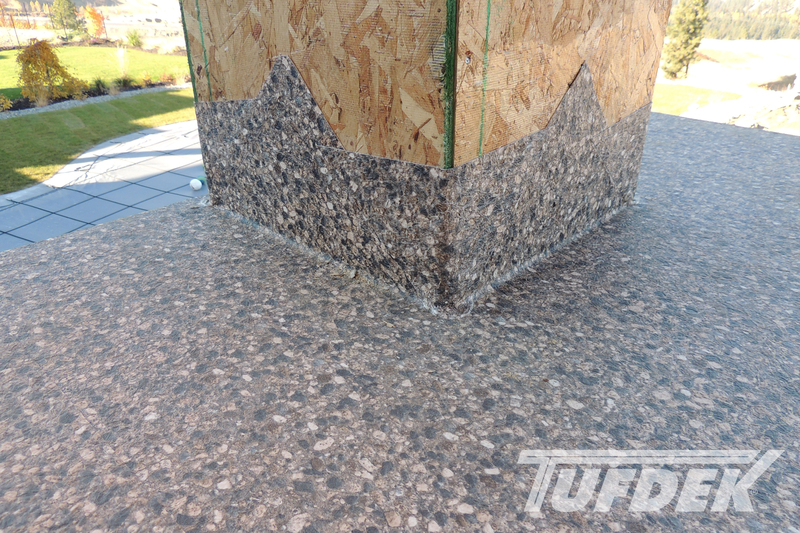 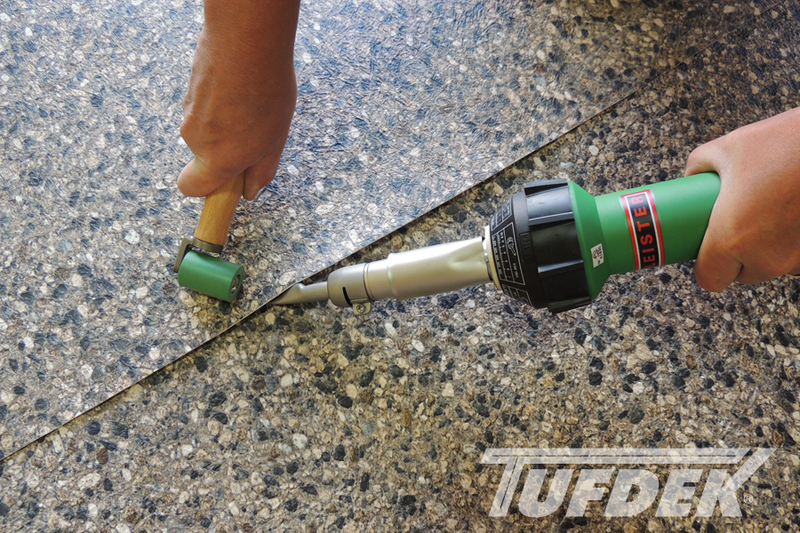 What sets Tufdek™ waterproof vinyl membranes apart from the competition? 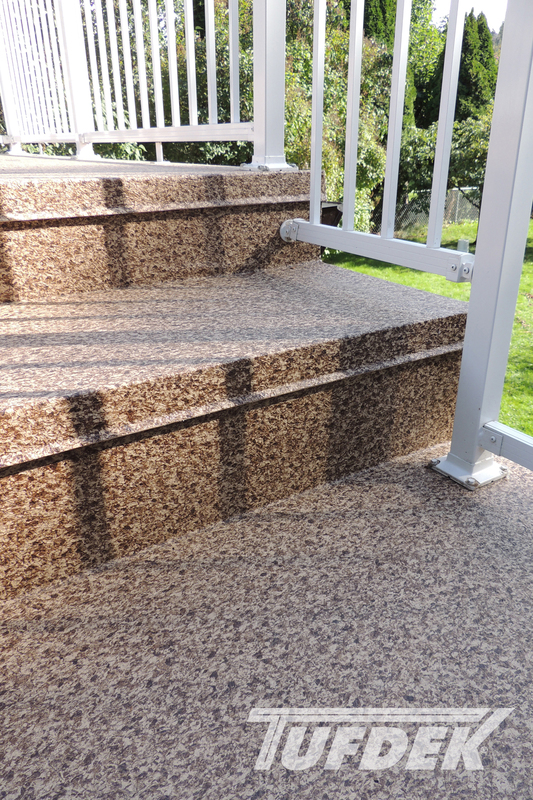 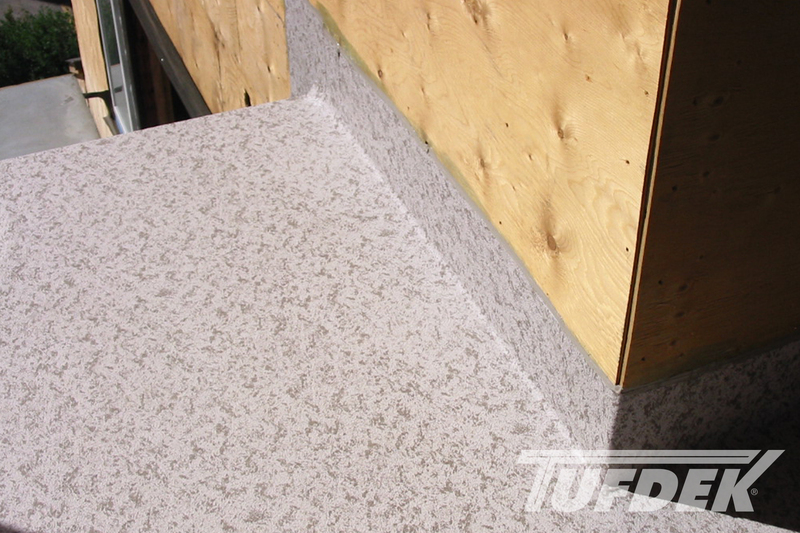 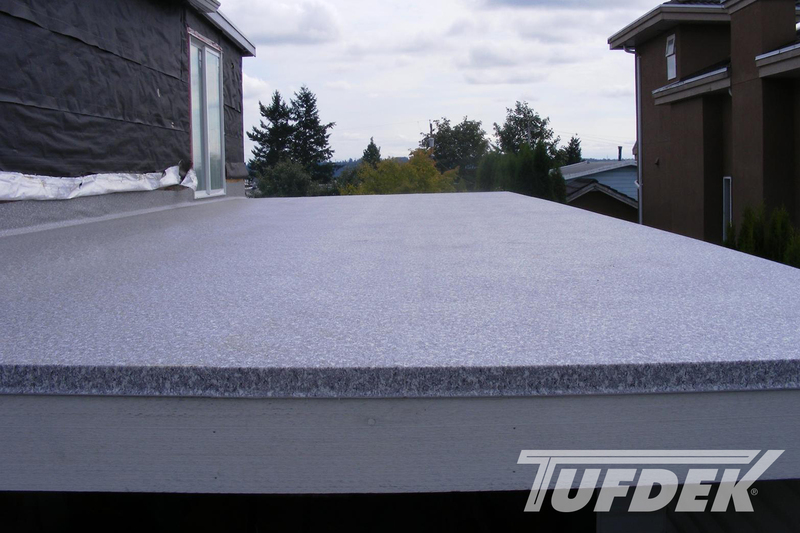 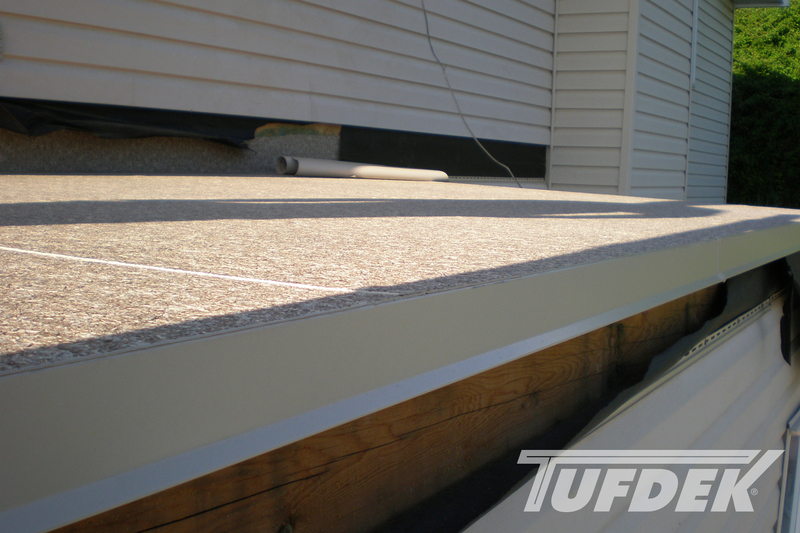 Besides the heavily tested and roof-ready PVC vinyl surface, it’s the installation of the outdoor waterproof deck flooring that makes Tufdek such a desirable product for commercial and residential applications. 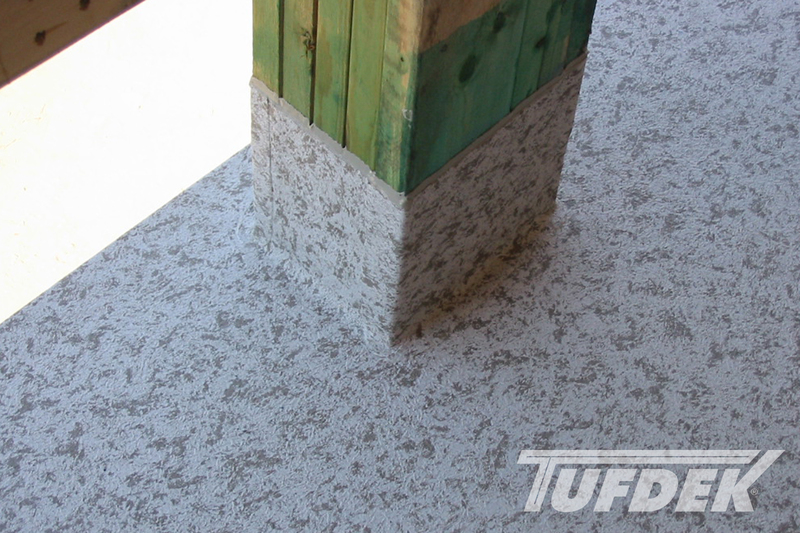 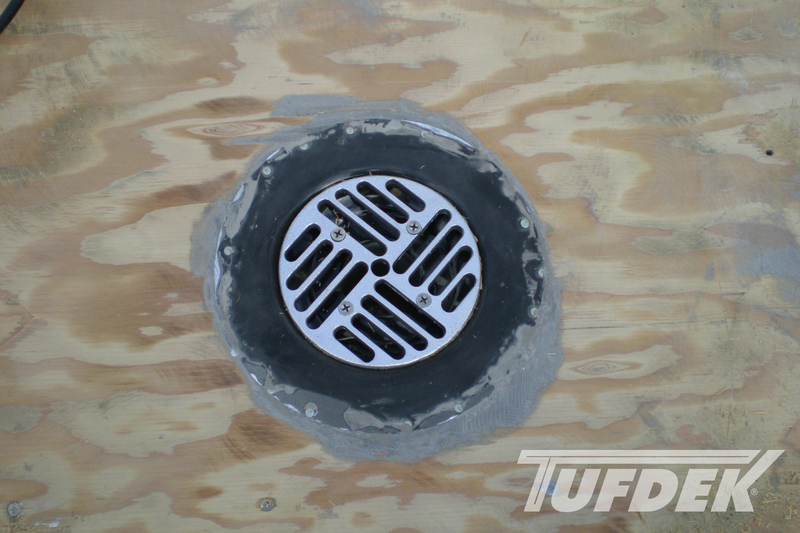 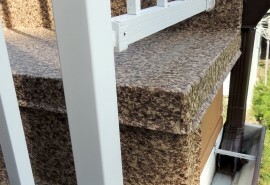 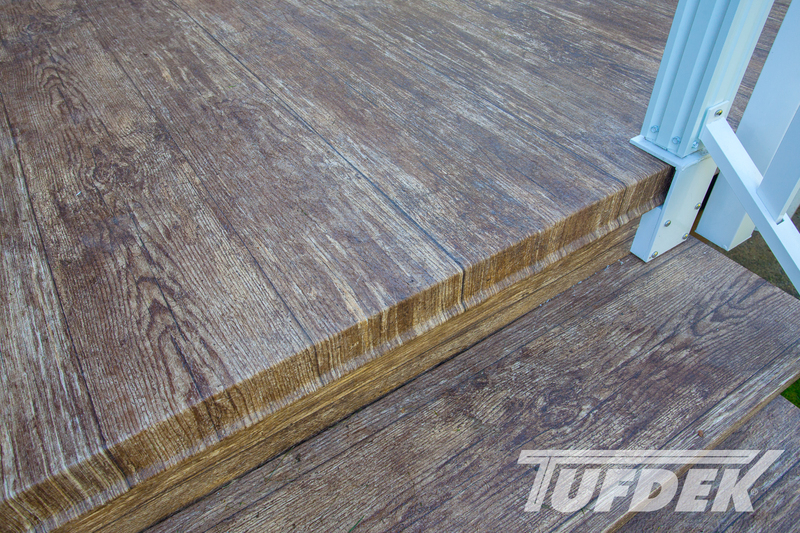 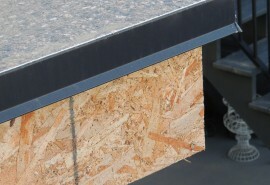 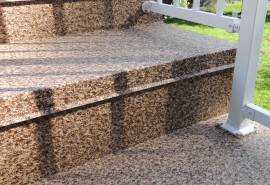 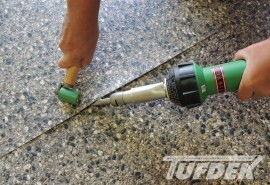 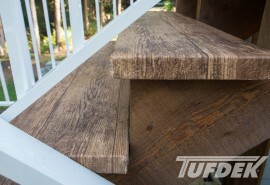 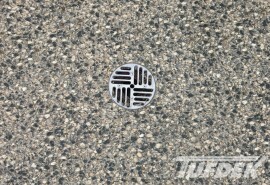 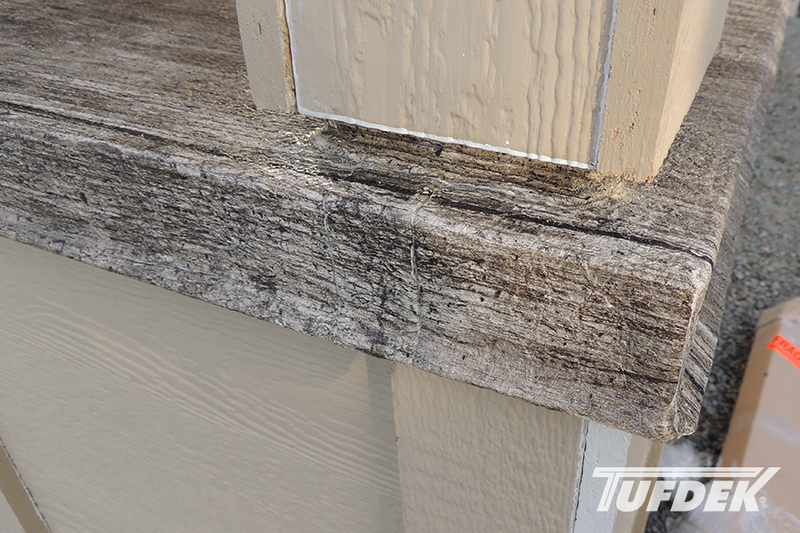 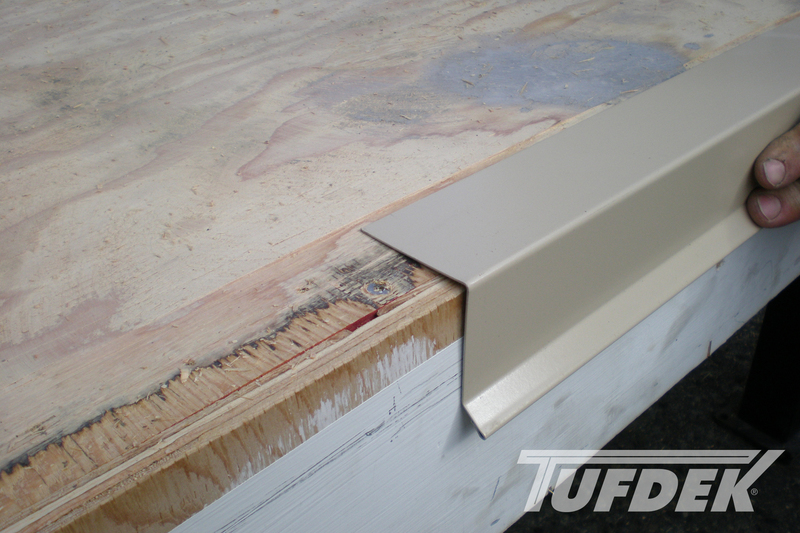 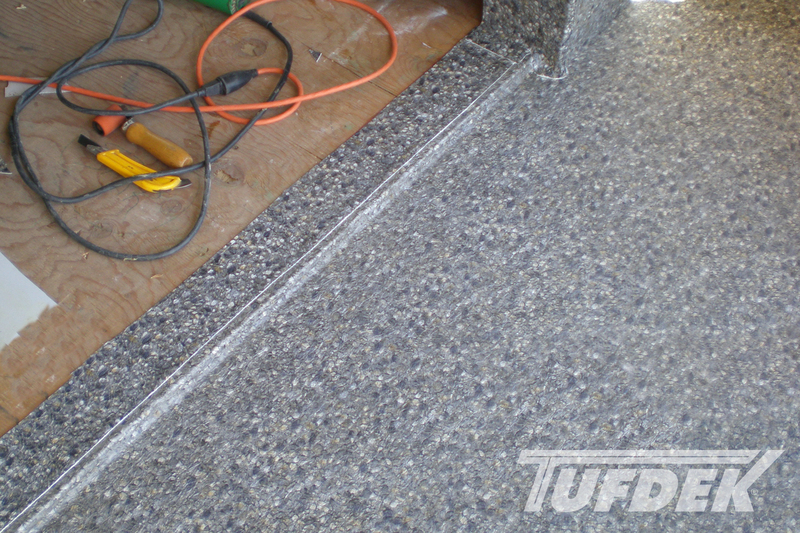 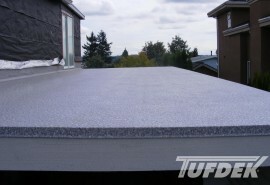 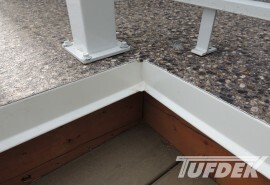 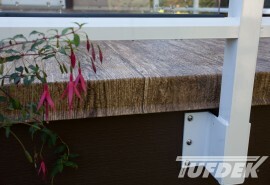 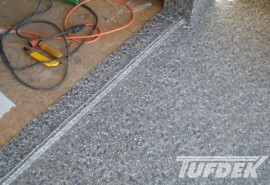 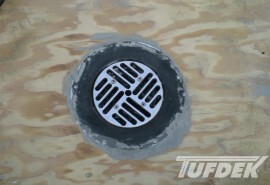 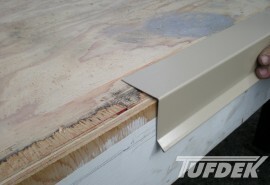 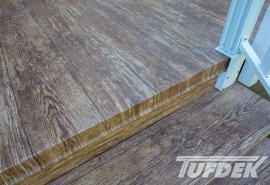 All Tufdek waterproof deck flooring products are installed professionally, using only the latest, time-tested deck installation techniques. 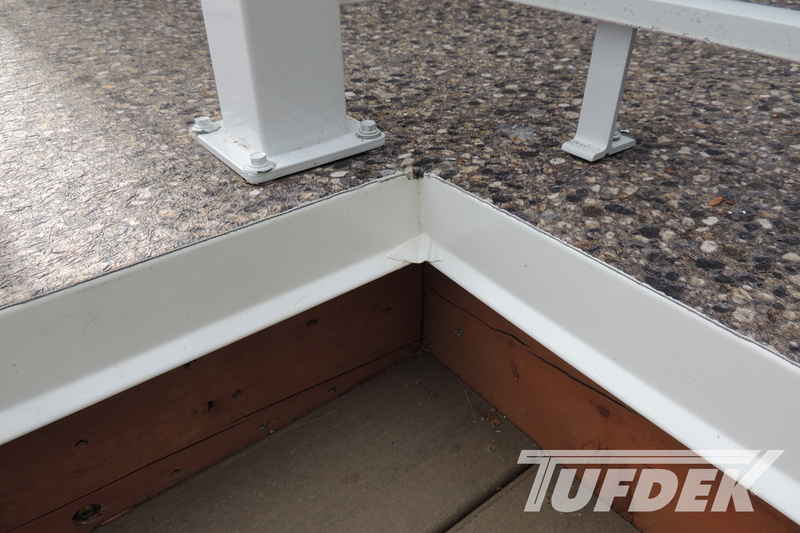 This series of vinyl deck installation photos illustrates a process that ensures you get a waterproof outdoor deck covering that will stand up to the elements, to the daily traffic of homes or commercial applications, and to the passage of time. 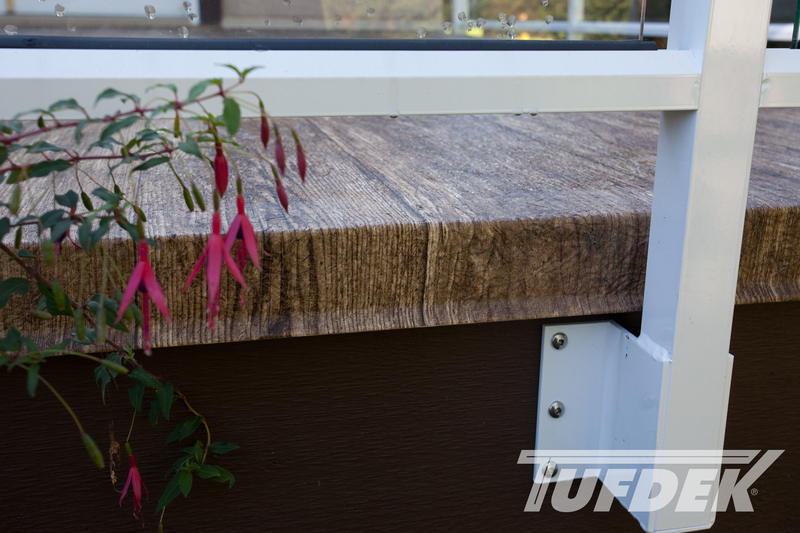 With a professional Tufdek vinyl decking installation you’ll be left with a waterproof deck surface that looks great, protects your home or commercial building, and offers a low-maintenance solution so you worry less and enjoy it more.